The second chapter of Joel reminds us to not only live for today. We must live for THE DAY. It’s a constant struggle to keep our focus on the fact that everything around us that we can touch with our hands will all be gone, leaving only our relationships and connection with our Source, Jesus. So how do we live for THE DAY when things once clouded will be seen face to face? Spiritual preparation begins and ends with prayer. All our striving to be somebody must be overshadowed and minimized. Our prayers should reach the throne of God in wholeheartedness. Turning to God means that we cast aside our own desires for a greater calling: knowing and trusting Him. Gather the people, Sanctify the congregation, Assemble the elders, Gather the children and nursing babes; Let the bridegroom go out from his chamber, And the bride from her dressing room. God invites us into the celebration of the feast to come. Our task is to gather and unite the often splintered family to receive the groom. This happens before THE DAY. It requires forgiveness and reconciliation in the face of our deepest wounds. We are instigators of grace in all its aspects. This is the hard work that brings the Kingdom of God to this blue marble called Earth. The symbolism of bread, wine and oil tells the entire story of redemption. 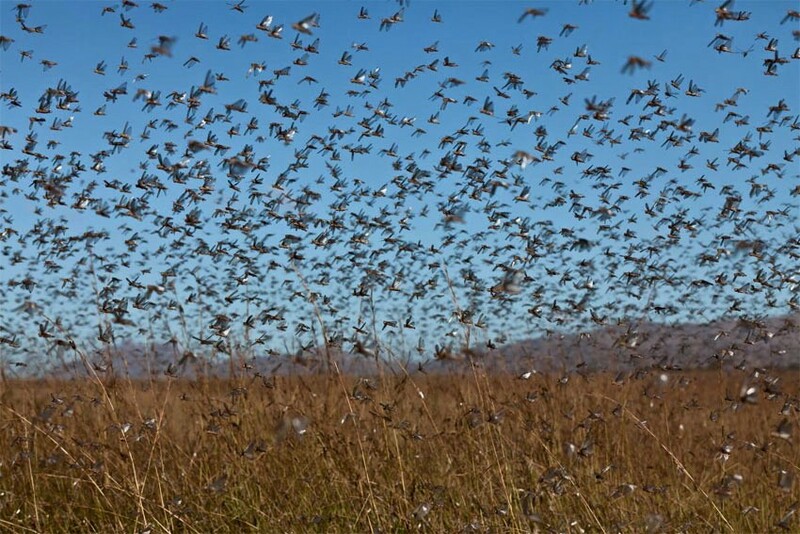 The locusts have ravaged the cosmos. They’ve wrecked our world. They eat into blessing. Whether it is a wound, a broken relationship, or a death. The story of redemption is a story of reconciliation of the things that were taken from us. God’s promise is strong. We must celebrate that He will make all things new. Your sons and your daughters shall prophesy. Your old men shall dream dreams. Your young men shall see visions. Beloved, live in the reality of the redemption story and your dreams will be rekindled and will flourish like the opening of a rose. Dead dreams will rise from the ashes of our brokenness and pain. We will look forward and not backwards We will view life as the great saga of grace that it truly is. If only we will could celebrate the majesty and holiness of today! This morning we are one step closer to the coming of the Bridegroom amidst the perils of the present. Even so Lord Jesus, Come!